Click link for the Spring 2019 Boys In House schedule. The SHOUT tournament is the last day of the in-house season which is June 15th. The rain out is for the following day. This tournament will have a concession stand which serves as a fund raiser for the U9 developmental teams. The coaches of each developmental team will staff and run the shift opposite of when the boys play. So if the boys play in the afternoon, the u9 boys devo coaches will run the morning concession stand with parents as helpers. The U8 boys will play half their games at the Durham field which is actually not too far from Wallingford. Again, this gives the U8's 2 additional teams to play against. This is not ideal but can be fun. The Durham folks will provide the referee's for the weeks we play there. The game format will be the same with 4 quarters, etc. Rainouts this spring will automatically roll to the FOLLOWING Tuesday night including U8's. So if Thursday night or saturday am is a rainout, you will play the same scheduled game on the following Tuesday night. The following are important dates for the Spring 2019 season. Will begin April 22 & 23 and run each Monday & Tuesday until June 10 & 11. 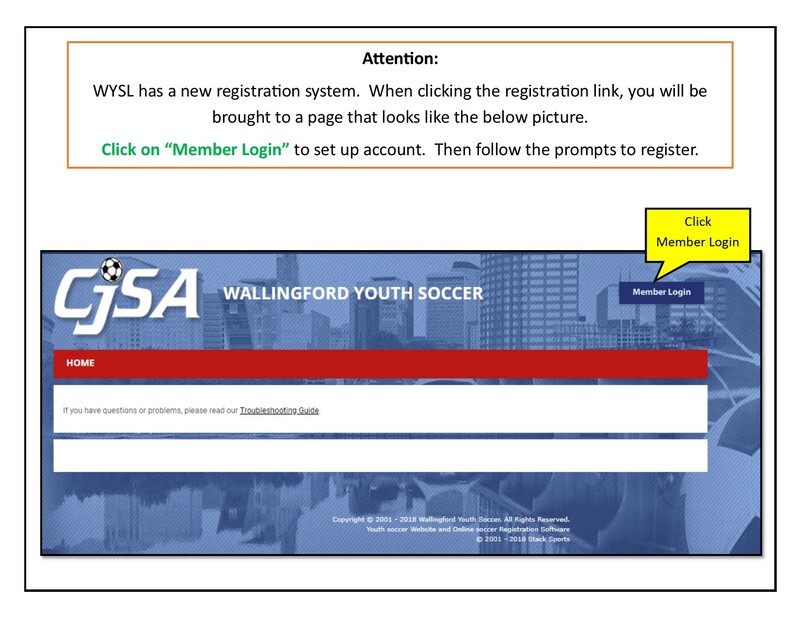 In case of inclement weather please check this website and/or follow us on Twitter - @WYSL_Soccer. Cancelations will be posted by 4:00 p.m.